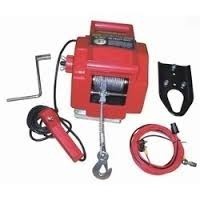 Electric Boat Winches lower and retrieve life/rescue boats using single or double wire falls. Winches usually comprise of a drum for coiling the wire, gearbox, centrifugal brakes, electric motor, limit switches, etc. The product-group of winches represent a full scalar of winches suitable for incorporating in your davit system. Sri Balaji Marine & Civil Engg.